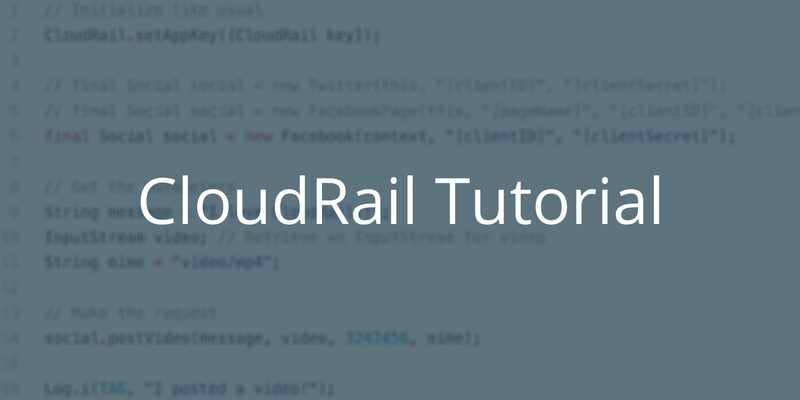 CloudRail always does the hard work for you and keeps APIs towards your code consistent. This means that we work closely together with our API providers to handle all kind of changes in our abstraction layers. You won’t need to change your code even if for example Dropbox changes their API from v2 to v3. Nevertheless, since CloudRail works P2P this requires an update to the respective SDK sitting in your application. Important: You are responsible for keeping track of new SDK versions on your own. This usually works out fine for a few non-critical integrations, but if you have to rely on them in a business environment, you should consider our API Change Management feature. 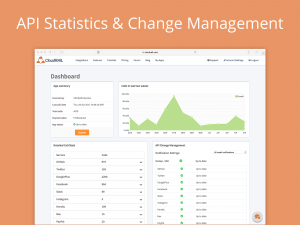 With API Change Management, CloudRail actively monitors all your integrations and SDK versions and actively reaches out in case you are affected by any API change. Due to our close relationships with providers, these notifications usually happen several months before anything breaks, giving you enough time to roll out an update with the latest SDK version. Notifications are sent via email right to your inbox and moreover, a summary is shown in your developer portal. API Change Notifications are very specific, meaning that you only get notified if you are really affected by an API change. It a smart system and not just some generic release notes. API Change Management is the right choice for you if you use CloudRail for commercial applications. Focus your development resources on your core product instead of keeping integrations healthy. Learn more about our features and pricing here. 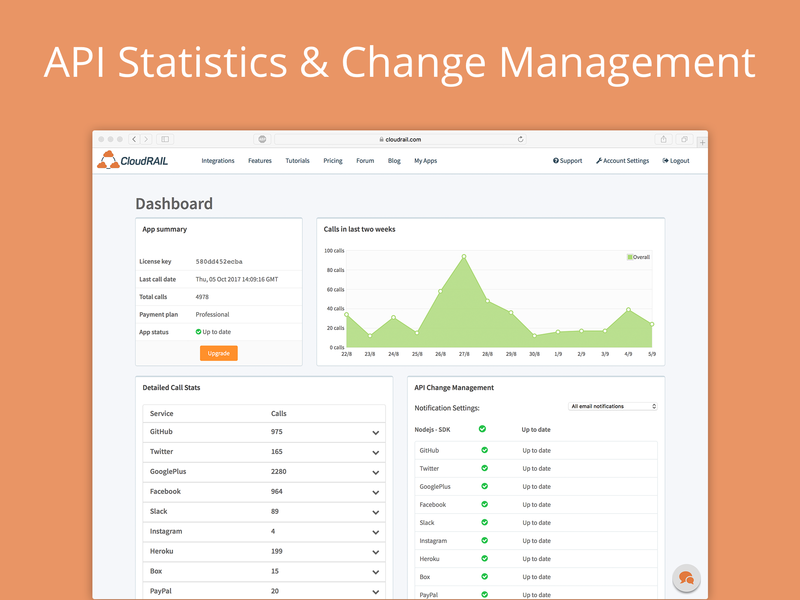 Create a free CloudRail account and test API Change Management.